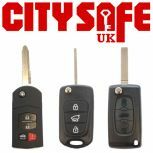 CitySafe brings you these ready made remotes and remote key repair cases, so you can offer high quality and reliable aftermarket keys suitable for many models and types of vehicles. 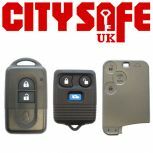 Our repair flip keys and repair keys come ready for you to cut the blade and clone the chip. 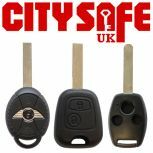 Please not that none of our DIY aftermarket keys are associated with any car manufacturers.